What is the impact of Brexit on your IT service delivery? The flexibility to purchase cloud services can be both the cloud’s greatest asset and its worst feature, resulting in almost every business today having some form of cloud outsourcing – from strategically sourced hybrid IT through to shadow IT. This has created a world of complex hybrid cloud environments; mixing on-premise infrastructure controlled by IT with cloud services, sometimes purchased departmentally. As the UK heads towards uncertainty, IT managers with hybrid environments are now looking to minimise their IT risk as they navigate the post-Brexit landscape. 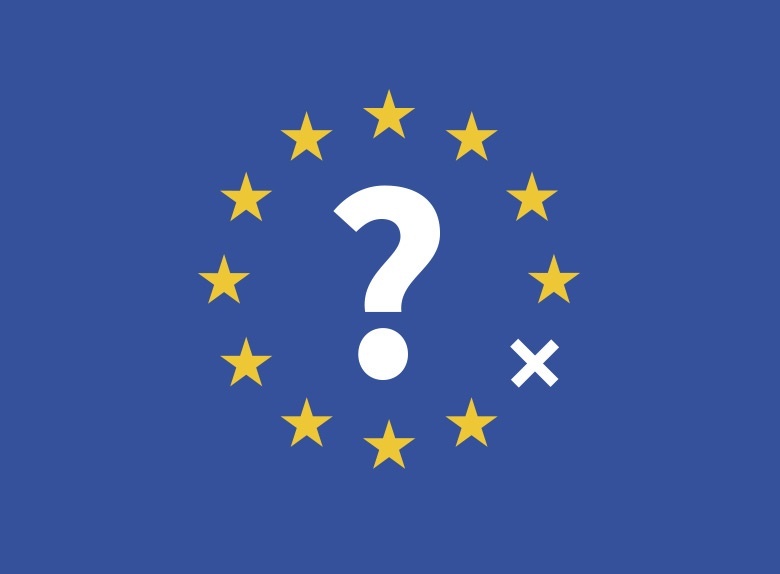 Pulsant has put together this article to try and alleviate some of the worry felt by cloud customers across the UK, and to give our clients a mini-checklist on getting their IT #Brexit-ready. We aim to keep you updated with recommendations and tips as further industry and legislative changes become known. So what is the likely impact of Brexit on IT services? It may be too early to provide a definitive list of recommendations, but Pulsant recognises that there are a number of important factors to consider if you are an IT decision maker operating in the UK. Where is your service delivered from? That may sound like an obvious question but many public cloud providers operate European datacentres or give the assurance that your data will never ‘leave the EU’. Prior to the referendum, that wasn’t necessarily a problem but today it can have massive ramifications for your ongoing cloud service. Being aware of where your services are delivered from is critical in these early days so that, should anything change, you are armed with the info to make a decision without delay. If your provider does deliver services to you from both UK and European locations then it is critical to ensure that there are procedures in place to enable the flexible movement of cloud services across borders. It’s also important to consider where your provider is based – are they a UK company? Do they have EU operations? What will be the impact to their operations as the Brexit negotations progress? We recommend that customers overcome this issue of moving IT resources with ease and flexibility by creating a service catalogue that is standardised and documented, so that workloads can be migrated easily from one location to the next without having to completely rebuild, test and launch new systems from scratch. Next comes the question of your data. techUK advocates the need for data to be able to transition across borders with relative ease and freedom in their ‘5 Point Post Brexit Plan’. When the UK leaves the EU, new data protection laws will need to be introduced to fill the gap left by previous EU regulations – and these need to be sympathetic to the reality of many UK businesses who already have cloud services hosted across Europe. The EU is set to introduce the new EU-US Privacy Shield regulations (which will replace the Safe Harbour agreement) as early as July 2016, according to ITPRO and the impact of Brexit on the introduction of the new regulations remains to be seen. Some industry bodies are already saying that UK businesses will continue to be impacted by EU data regulations even after the UK has formally left the union, if the businesses in question deliver services to the EU or have EU customers (see ComputerWeekly’s article on the subject). Where is my data held currently? If I need to, can I easily get my data back into the UK? Another big area is around staffing IT teams and UK businesses’ continued ability to retain top talent once outside of the EU. techUK claim that many UK datacentres employ a large number of EU workers – a potential area of risk for businesses who could be set to lose a good proportion of their staff if immigration laws tighten. There is already a reported digital and technical skills shortage in the UK, and Brexit could potential worsen this situation for IT Directors looking to attract top talent. A ‘smart immigration’ policy could be a way for the UK government to stem any potential losses to UK organisations’ tech teams in order to ensure they have adequate coverage or at least develop plans for a variety of immigration legislation outcomes. We have all seen the initial impact to the financial markets in the few days following the referendum result – and it is predicted that there will be further uncertainty as different milestones in the Brexit plan occur, such as the triggering of Article 50 and the introduction of new laws. The possibility of harsh EU sanctions being imposed is also a cause for concern, so being able to react with agility and speed to these changes could mean the difference between business disaster or survival. In the event of further Brexit fallout, do you have business continuity plans in place across IT that could trigger the transfer of data, IT services and staff resources back to the UK? Have you discussed a contingency plan with your IT services provider so that you know how they will operate in the event of changes in legislation or data governance? Understanding how your service provider’s business will react to the changing landscape is important for you in order to put in place adequate plans for your own IT environment. However, in such a period of uncertainty, the only thing we can be sure of is that any IT plan needs to be flexible. Services need the flexibility to move, transition and migrate – whatever the outcome. As we know more, you’ll know more. Once further detail about Britain’s situation emerges we will deliver additional information about how it is likely to impact upon IT systems, processes and people. For now, take a look at our checklist or download our printable checklist to give you a head start on getting your IT services Brexit-ready. Review & update your Business Continuity and IT Disaster Recovery plans in relation to the different stages of the Brexit program. Prepare your IT service delivery to be able to react to different milestones and outcomes such as the triggering of Article 50, new data laws and potential EU sanctions. Start to develop a service catalogue of IT workloads (Speak to Pulsant today if you are unsure how to get started with this). How will you deliver services before and after Brexit? Will your services be impacted by Britain leaving the European Union? Where are your cloud services delivered from; including data, apps & support? How will Brexit affect your business as a whole, outside of IT? What are your plans for handling future Brexit related changes to data governance requirements, immigration legislation and trade agreements?